Builds Sandycoombe LodgeTurner bought some land at what is now Sandycoombe Road, Twickenham, in 1807 and built there a villa for himself and his father. Originally named Solus Lodge and with more land than remains as garden it is now named Sandycoombe Lodge. He sold the property in 1826. The appearance of the house has been much altered by the addition of second floors to the original side wings. Pope's Villa being demolished, previously in the collection of Sir John Fleming Leicester. 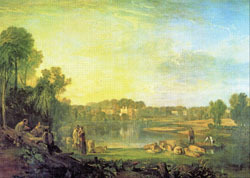 Turner was much concerned by the destruction of Pope's Villa in 1808 and painted a picture of the event. An engraving was made by John Pye. When new the picture was owned by Sir John Fleming Leicester probably during his brief tenancy of Thomas Hudson's Villa in Cross Deep and it may have been displayed there. For many years the picture was on display at Sudeley Castle in Gloucestershire, but in 2009 it came to auction and was sold to a private buyer in America, where it now has been taken. Dip the long branches in the rippling tide. Perhaps this was the basis of his own collection round the pond at Solus Lodge, described by his father as "a mere osier bed". Turner intended to establish a centre or “college for decayed English artists” in Twickenham. In 1718 he was awarded a plot of land (no219) on Twickenham Common by the Commissioners handling the Enclosure Act. The Common was being divided up and the land sold off to help pay for the costs of implementing the Act. Turner's plot lay half way along the north-east side of a new Road then named First Common Road, now Fifth Cross Road, running between the Hampton Road and Staines Road (then called Hanworth Road). The plot was Copyhold of the Manor of Sion, 21 perches in extent: a frontage of about 22 feet by 230 feet deep. Turner immediately bought three adjacent freehold plots of similar dimensions, to the south, from Theodore Turpin, Catherine West and John Watson (plots 218, 217 & 216). This gave him a piece of land about 90 feet wide, extending to nearly half an acre. 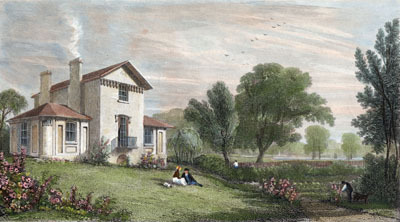 Although Turner did not proceed with the project, he did not dispose of this land when he sold Sandycombe Lodge in 1826. His heir, Thomas Price Turner was admitted to plot 219 in 1852. Turner's House Trust now owns Sandycoombe Lodge and a project for its restoration is under way. 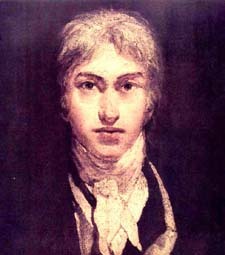 The Friends of Turner's House run a programme of talks and visits. For further information about the project, and to join the Friends, please go to The Turner's House Trust website. Turner's biography, timeline, gallery and teachers pack at Tate Britain.